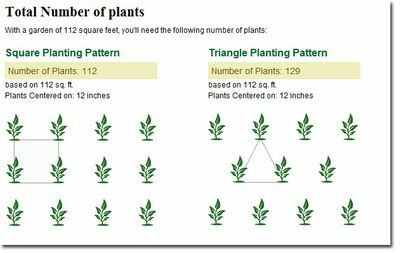 The number of plants for both square and triangle planting patterns are calculated. Users can quickly determine how many plants they will need for a rectangular or square area in their landscape. The site will then tell the user how many plants they'll need for two different planting patterns.